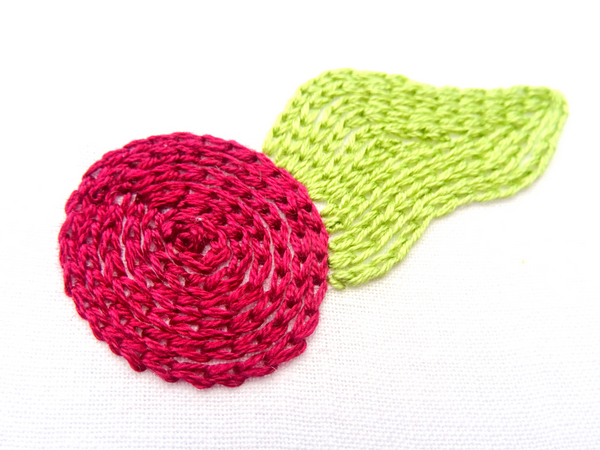 Chain stitch is perhaps one of the most versatile of all the basic embroidery stitches. As the name implies, each stitch is connected like loops in a chain. It's a great stitch for beginners and a favorite of embroidery veterans. 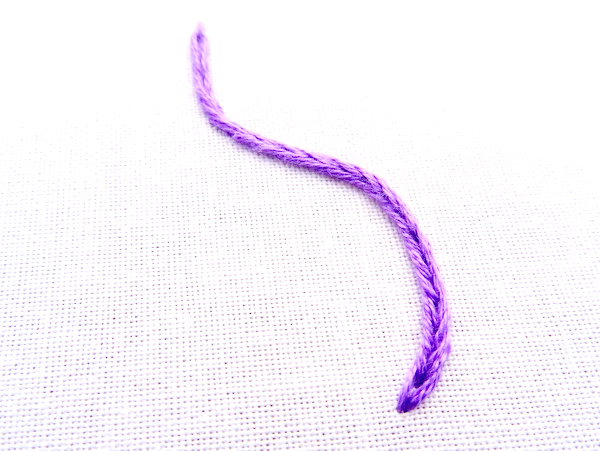 Chain stitch can be used for everything from beautifully textured outlines to a unique way to fill in shapes. There are multiple variations of the chain stitch, but all require mastering the basic stitch first. 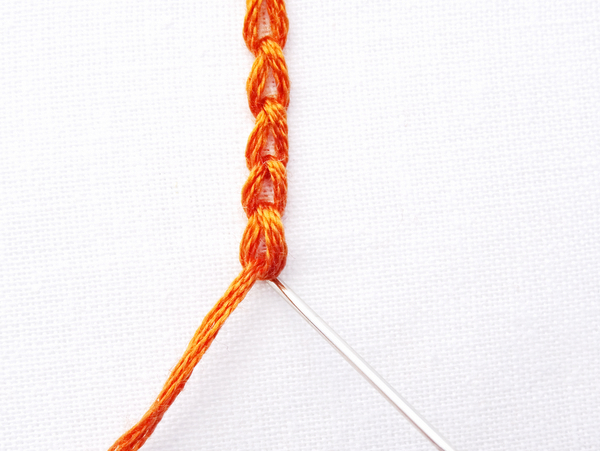 Begin your chain stitch by bringing the thread up at the starting point. Take the needle back through the same hole then down again a short distance away without pulling the thread all the way through. Loop the thread around the bottom of the needle. 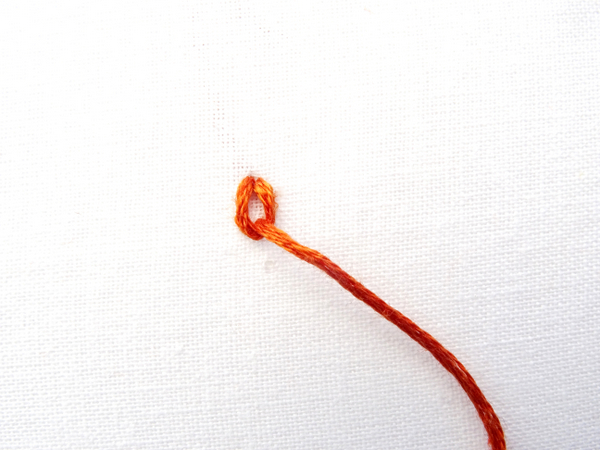 Pull the thread all the way through until a loop forms. 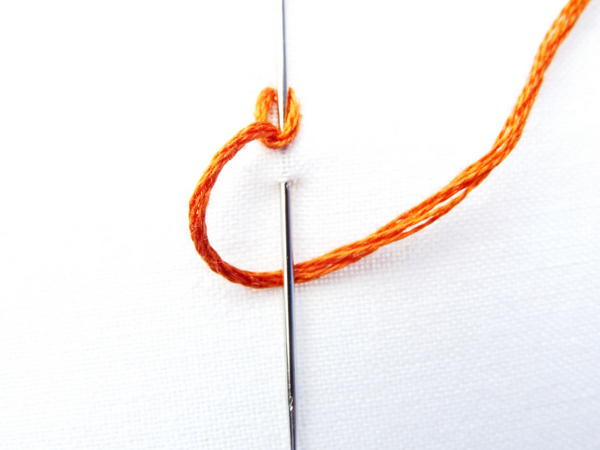 Put the needle back down in the same hole (inside the loop) and then bring it back up another stitch length away. Again, make sure the thread is under the needle before pulling it tight to form that second loop in the chain. 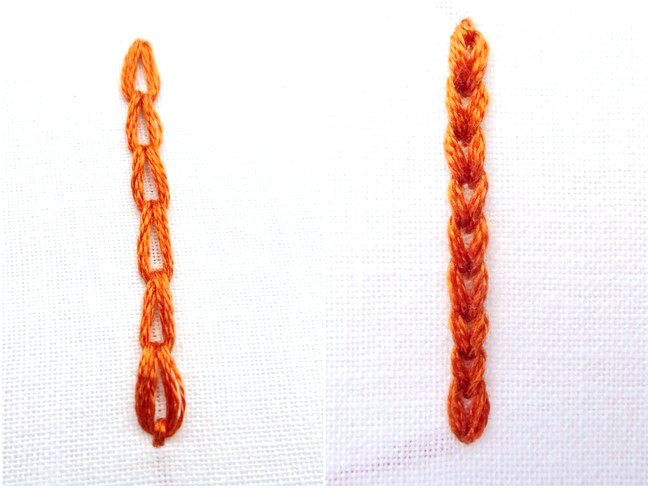 Continue this pattern until you've reached the desired length. To finish the stitch bring the thread down at the bottom of the last loop. 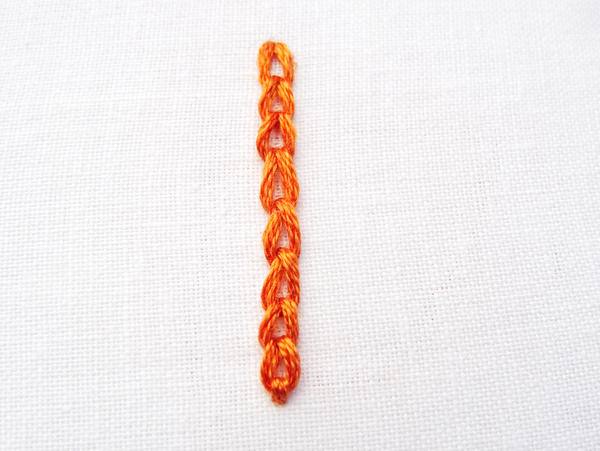 Once you get the hang of it, this is a really simple stitch that can be used in a variety of ways. The basic stitch can be easily altered to create different looks simply by pulling the thread tighter to make a more compact chain or lengthening the stitches to make a more open chain. Chain stitch also makes a great filler stitch. Start by outlining the shape you want to fill. Next, following the outline, create multiple lines of chain stitch inside the shape. Make sure that the lines are close together and no fabric shows between. Keep stitching until the entire shape is full. Using chain stitch as a filler is not only fun, but it creates interesting patterns inside the shape. For example, when filling a circular shape, you will end up with a deeply textured spiral. 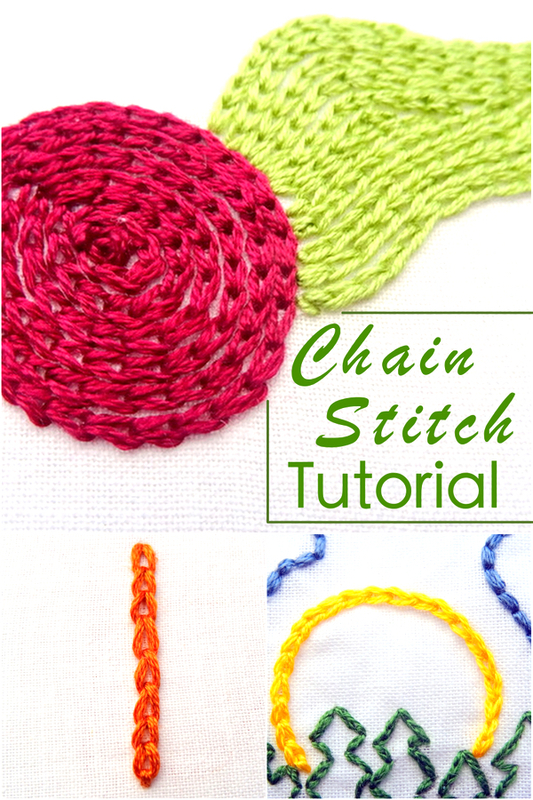 For a simple variation with a thicker, bolder look, check out the tutorial for Heavy Chain Stitch. 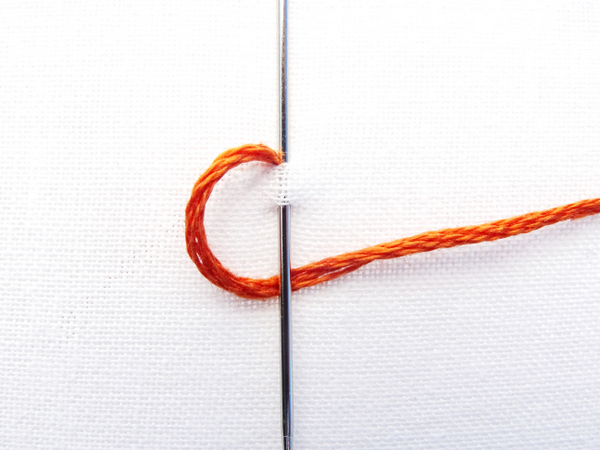 Want to practice your chain stitch? Many of the Wandering Threads Embroidery patterns use chain stitch in a variety of ways. 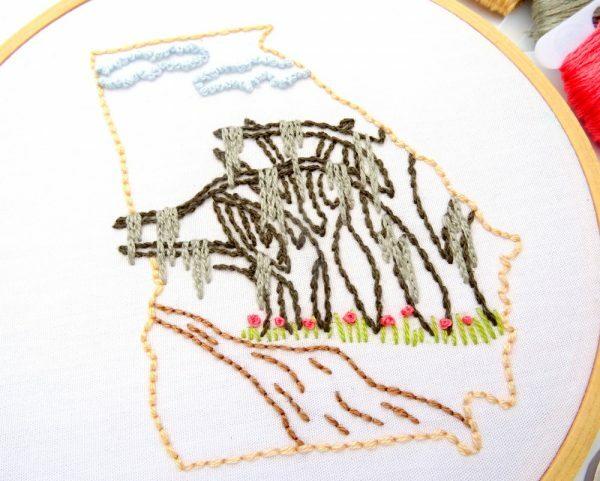 For example, the Georgia Embroidery Pattern prominently features chain stitch to create the Spanish moss draped over a grove of live oak trees. 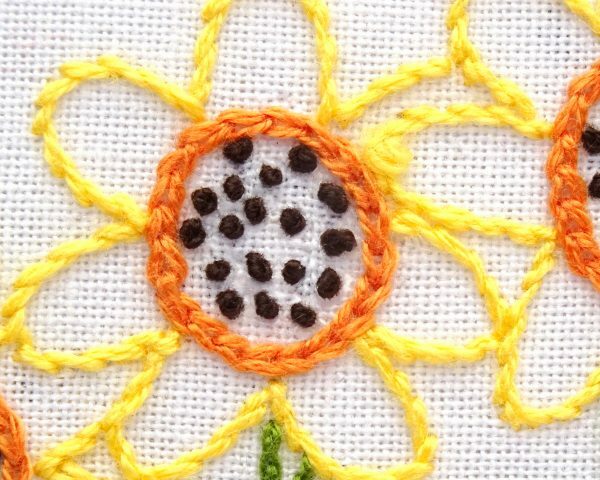 Chain stitch is also the recommended stitch for the inner circle of the sunflowers in the Kansas State Flower Pattern. Finally, chain stitch makes an appearance in the Glacier National Park Pattern as the outline stitch for the canoes. To see more patterns with chain stitch be sure to visit our homepage and view all the Wandering Threads Embroidery Patterns. Happy Stitching!